Latipay offers a complete e-commerce integration solution. 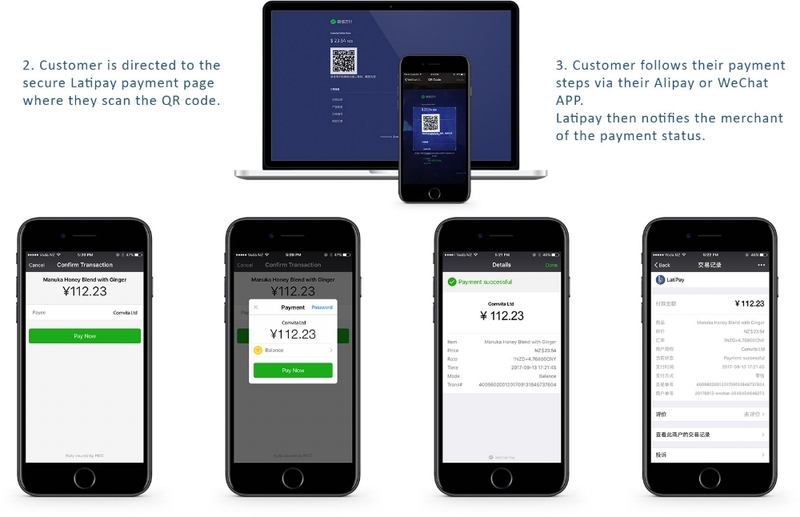 This gives your customers the opportunity to pay directly on your website by simply clicking a 'WeChat Pay' or 'Alipay' button at checkout. Our solution is 100% secure, responsive and, at the request of the merchant, can be customised to suit their particular branding/style. We have several CMS plugins used for common web-building systems that are simply a matter of plugging in our basic code to your website including: Shopify, Woo Commerce, Magento, EcShop, OpenCart, ShopEx, CS Card. Other web-building systems can also be integrated.